Rao received his B-Form, considered as a proof that a particular candidate is put up by a political party, from TDP Urban president Vasupalli Ganesh Kumar on Wednesday. Interestingly, Rao has neither lost any elections nor contested again from the same constituency. Till now, he has contested and won three Assembly seats and one Lok Sabha constituency. Rao, who won from Bhimli constituency in 2014, had earlier said that he will contest again from Bheemili constituency. However, it is being said that the decision was changed later as Avanthi Srinivas was given a ticket from the Bhimili seat. 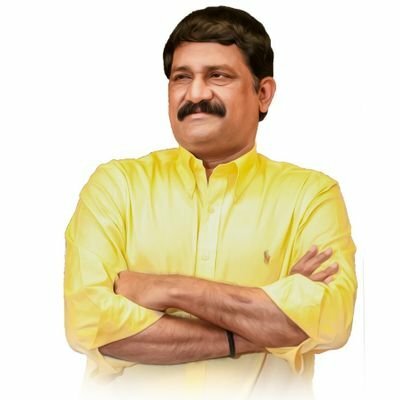 Srinivas had recently joined the YSRCP after resigning from the TDP and he is considered as one of the strongest challengers to win Bhimli. Meanwhile, TDP minister and sitting MLA Kollu Raveendra also filed nomination papers from his constituency, Machilipatnam. Before filing nomination, he offered prayers at home and then went to the collector’s office with a huge following of party cadres. On the other hand, YSRCP contestant K Anil Kumar filed his nomination from Pamarru Assembly constituency. He first paid respect at the statue of Dr B R Ambedkar and then kicked off the rally with all his supporters and later submitted his nomination papers to election returning officer P Baburao.